My favorite thing to wear with a little black dress is fun accessories. Are you even surprised that my way of spicing up my LBD is to add pops of leopard and tassels?! If you follow me on Instagram, you saw that I bought these sandals a few weeks ago. 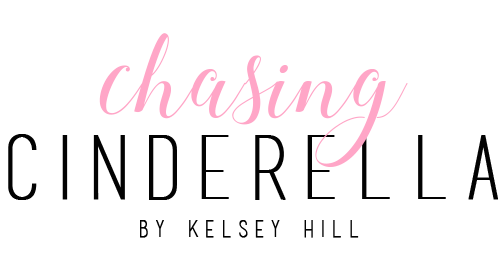 Well, I loved them so much that I had to buy the heeled version too, and they're on sale right now!! Now onto these earrings! 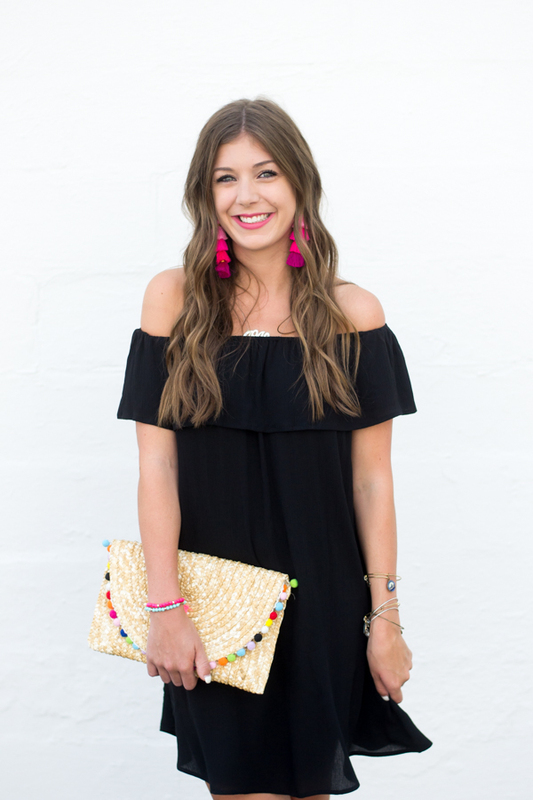 Tassel earrings are my new favorite trend right now- how cute are they?! There are so many fun ones out right now, at all different price points. (Like these, these, and these!) They will make the perfect addition to your wardrobe this summer! 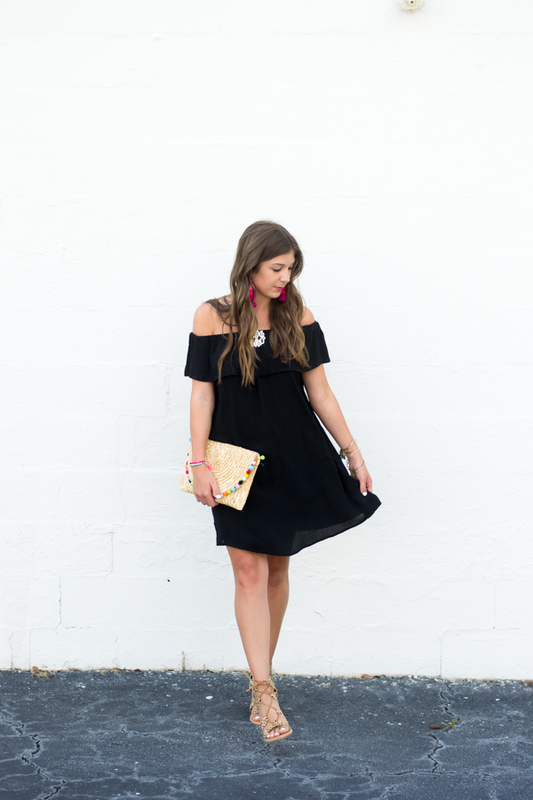 That is the perfect LBD for summer! So cute! I have these shoes and am obsessed too. 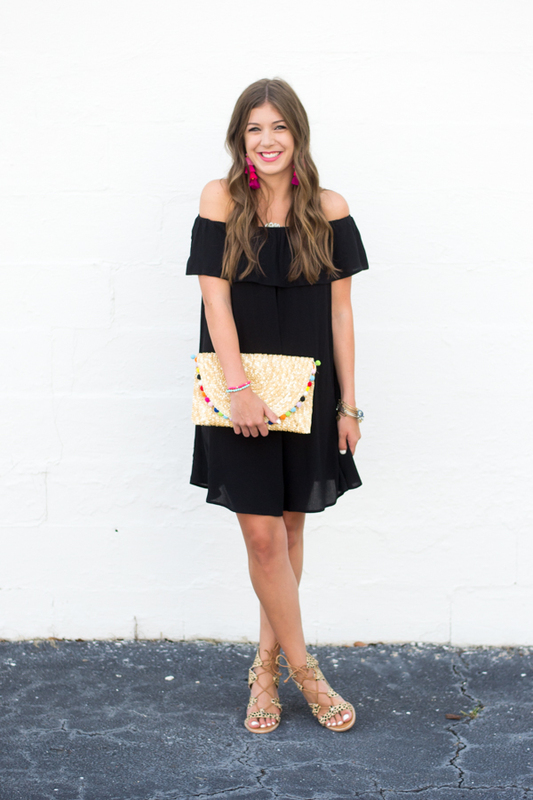 Love how you added fun accessories with the lbd. I love how you accessorized this outfit with pops of color!! 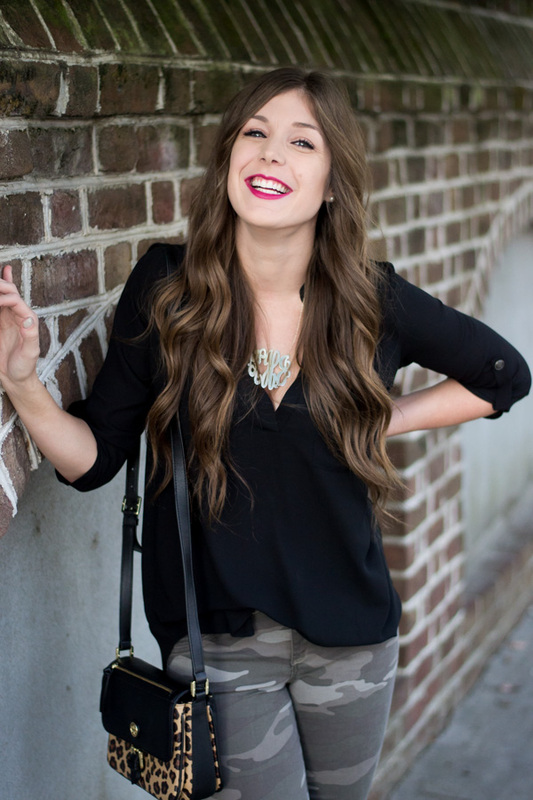 Love how you styled this, Kelsey! The earrings are so fun! I love how you paired the patterned sandals with the fun clutch! I never would have thought to put them together, they look fabulous! What a gorgeous dress and even prettier accessories!! I am in LOVE with that clutch!! Omg need these shoes in my life! They are so amazing! Those ombre, tier tassel earrings are adorable for summer and I think I need these leopard sandals! You styled it exactly as I would have - with lots of fun bright pops! Gorgeous, GF! I absolutely love your bright accessories! Those earrings are so fun and that clutch too! I'm totally obsessed with anything straw right now! Love these added pops of color! The tassel bag is so cute. i'm obsessed with your earings. serious! Love this classic LBD so much! And it looks great with all your fun accessories! Loving the pops of color your accessories add! Yess girl! Love all the details, super fun. Your accessories are the perfect way to spice up a LBD. I absolutely adore those leopard block heels! !